SEAL LEAKY DUCTWORK FROM THE INSIDE OUT! Aeroseal America is now introducing Aeroseal’s patented technology to our city. 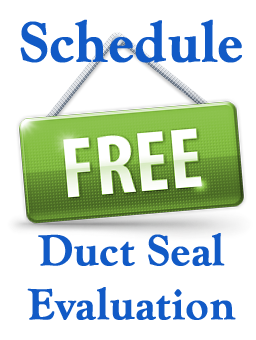 Aeroseal is an approved duct sealant by the California Energy Commission! Effective July 1, 2014 California Energy Commission (CEC) Title 24, Part 6 – 2013 Non-Compliance Manual dictates minimum air leakage of 15% on many HVAC retrofit or remodel projects. And 6% for new construction projects. Why consider Aeroseal America for your project using Aeroseal? Effective! Typically seals over 90% of total leakage. 80% minimum. Perfect for retrofit/remodel projects! Accessibility not an issue. Versatile! Can be used on all types of ductwork. Verifiable! Pre and post sealing diagnostics testing to ensure minimum leakage requirements are attained. Cost effective! Easily fits into most project budgets. Attractive ROI (Return On Investment)! Payback typically 2 – 7 years. Safe! Endorsed by DOE, EPA, CEC and other regulatory agency’s. Non-invasive! No lingering odor and no off gassing. One time application! Only has to be done once. Proven! Over 3.5 million linear feet of ductwork sealed in U.S. & Canada. Innovative! U.S. Dept. of Energy (DOE) rated AeroSeal as one of the most 23 beneficial technologies since the agency was created. Recognized! DOE, ASHRAE, EPRI & USGBC trade organizations.